Get excited Detroit Love Never Dies will open it's North American Tour at Detroit's Fisher Theatre on October 17 with performances through October 29! 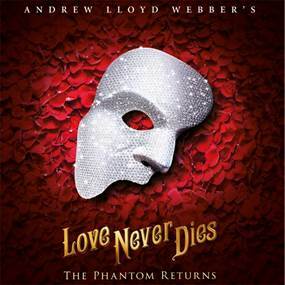 Tickets for Love Never Dies start at $39 and will go on sale on Sunday, June 11 at all Ticketmaster locations, by phone at 1-800-982-2787 and online at www.broadwayindetroit.com or www.ticketmaster.com. Starting Monday, June 12, tickets will also be available for purchase at The Fisher Theatre Box Office. Directed by Simon Phillips (Priscilla Queen of the Desert The Musical) with new set and costume designs by Gabriela Tylesova, choreography by 2011 Astaire Awards winner Graeme Murphy, lighting design by Nick Schlieper and sound design by Mick Potter, the show is one of the few instances of a major West End musical being given a complete makeover for subsequent productions. In a final bid to win back Christine’s love, the Phantom lures her, Raoul, and their young son Gustave, from Manhattan to the glittering and glorious world of Coney Island - not knowing what is in store for them. · Tuesday through Saturday evening performances at 8:00 p.m.
· Special Open Captioned performance on October 22 at 7:30pm. Tickets for of Love Never Dies start at $39 (includes facility and parking fees) and will go on sale June 11 at all Ticketmaster locations, by phone at 1-800-982-2787, and online at www.broadwayindetroit.com or www.ticketmaster.com. Tickets will also be available for purchase starting on June 12 at The Fisher Theatre box office. A limited number of premium seats will be available through Ticketmaster and at The Fisher Theatre box office. For group sales (12 or more) please call 313-871-1132 or email groups@broadwayindetroit.com. Tickets for the Open Captioned performance may be purchased in person at The Fisher Theatre Box Office or by phone at 313-872-1000, ext. 0. Performance schedule, prices and cast are subject to change without notice. Andre Ward vs. Sergey Kovalev II billed as "The Rematch", is an upcoming boxing superfight for the unified WBA, WBO, IBF, and vacant The Ring magazine light heavyweight titles between the top-two best pound-for-pound fighters in the world.